Editor’s Note: Many of you will remember Jim Bayle of Sports Stat, Las Vegas. Jim was one of the first true mathematical geniuses of our game. His computer racetrack analysis skills were unmatched, and in the mid-1990s he began producing some downright amazing and eye-opening documents and reports. 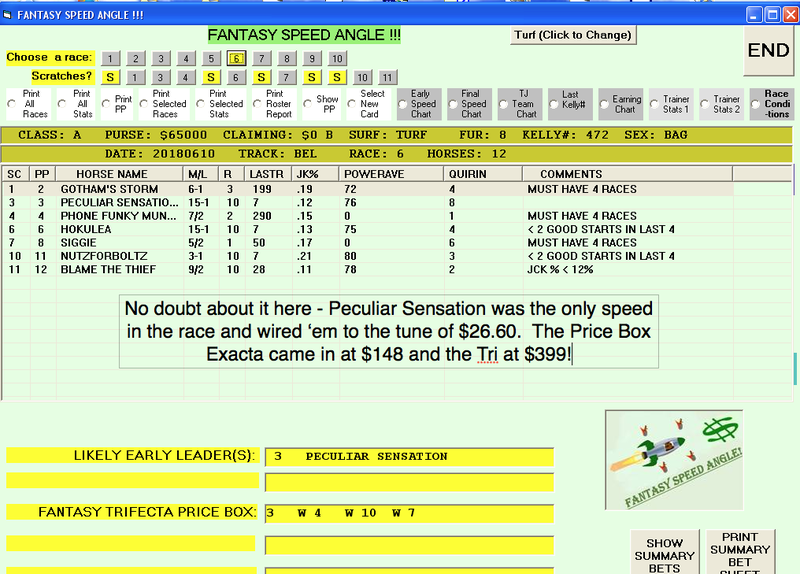 His Fractional & Final Time Summary report, The Morning Line: Power Betting Patterns, Power Post Position Analysis, etc., were big sellers that provided an enormous statistical boost to the serious fan. But by far his most popular publication was one he called The Fantasy Speed Report! What he did here was look at thousands of races to determine what kind of win rate and return on investment a player would get if he could successfully predict which runner would be on the early lead in sprint races. 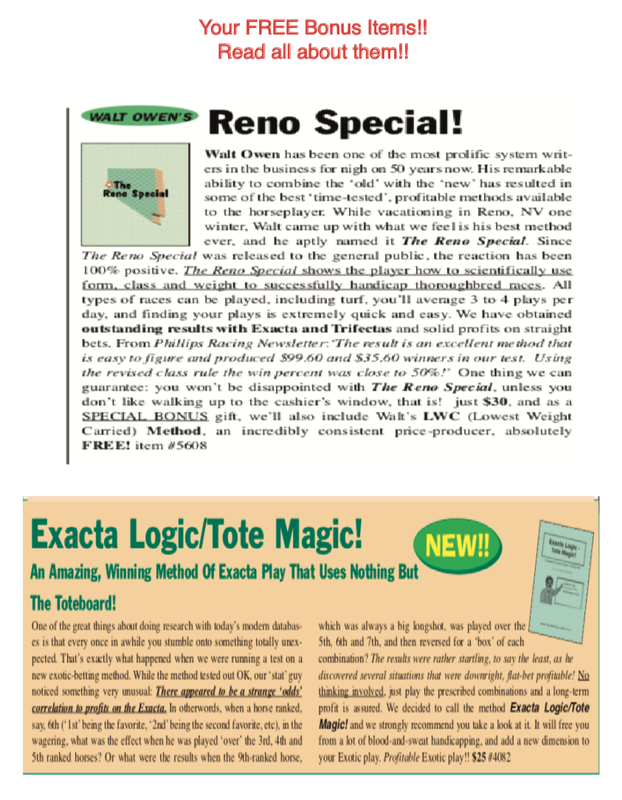 The results were remarkable, with many tracks showing that if a player could correctly determine which horse would be on the lead at the first call, even as little as 35% of the time, he could stack up significant profits. So, fast forward to today, where our statistician, Len, has reworked Jim’s study to be even more precise, AND …..
>>>>has provided the player with a very, very simple, 2-Step methodology, that will point out the likely leader 50% or more of the time! 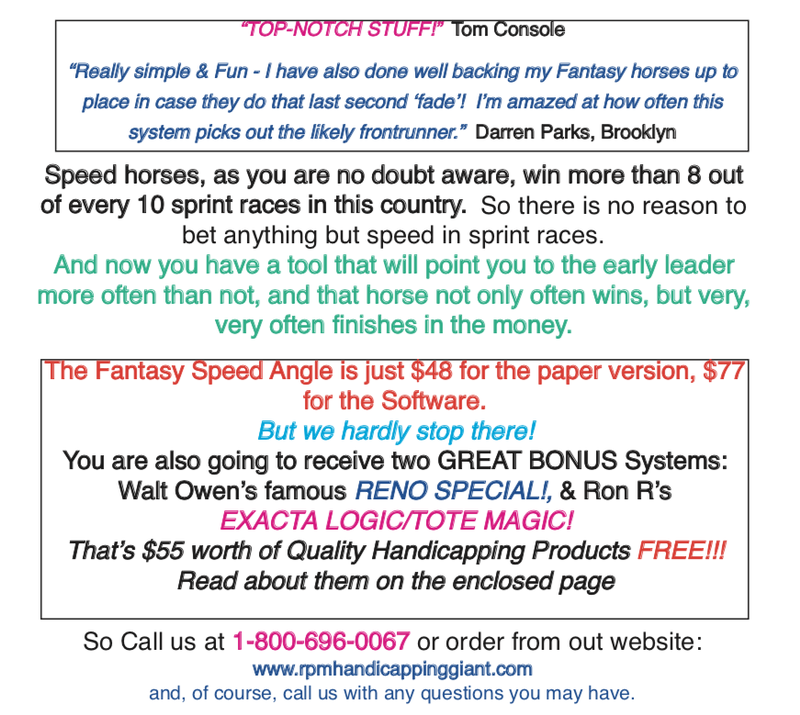 ***Statistically, horses with early speed (on the lead or within 2 lengths of the leader at the 1st call, win close to 82% of all sprint races in North America, so you can enjoy a significant advantage by ‘knowing’ which horse(s) are likely to be rolling right from the get go! 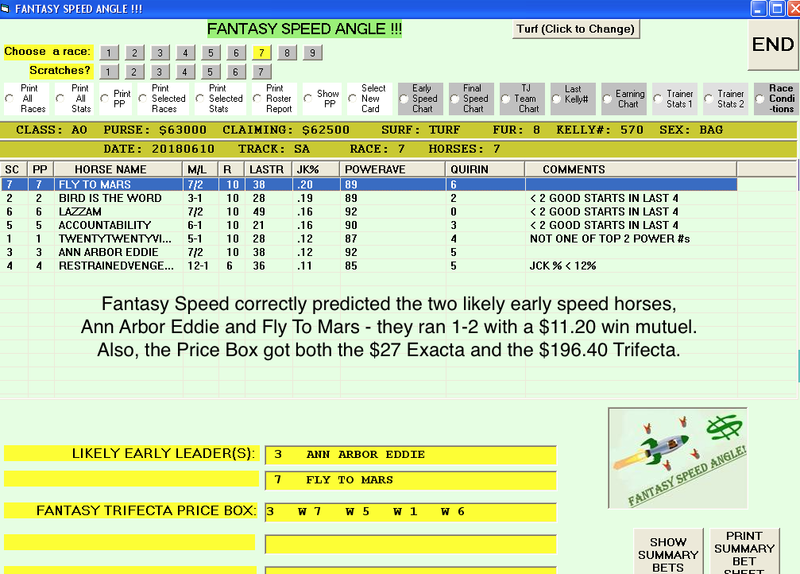 The FANTASY SPEED program is designed to identify horse(s) that are likely to be prominent early in the race. As most of you know, horses who are quick out of the gate and are on or near the lead often carry that speed all the way to the wire. R = # of races program evaluates. 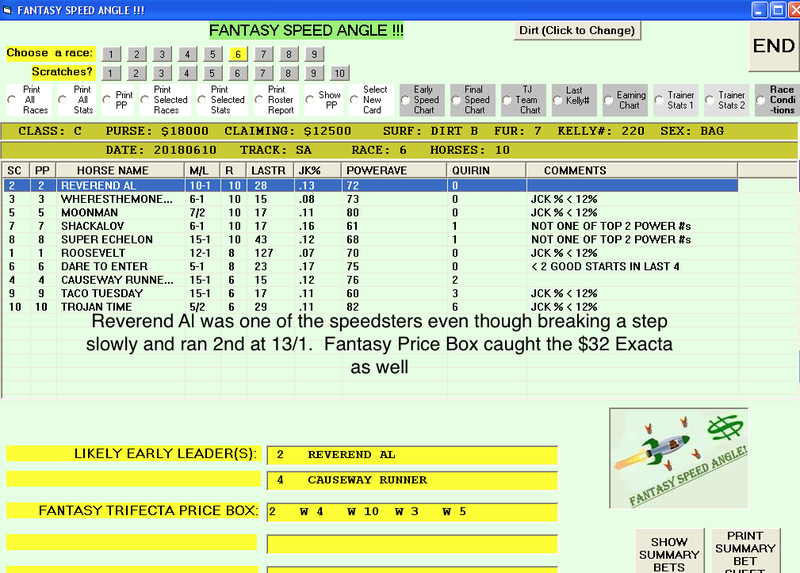 JK% + Jockey win %, which is an integral part of the qualifying process. POWERAVE = the overall qualifying rating that is made up of a mix of speed and pace. QUIRIN = Quirin speed points which can be used to separate contenders. Likely Early Leader(s) = based on the above data an past running lines, the program’s prediction of which horse(s) are likeliest to be prominent early. 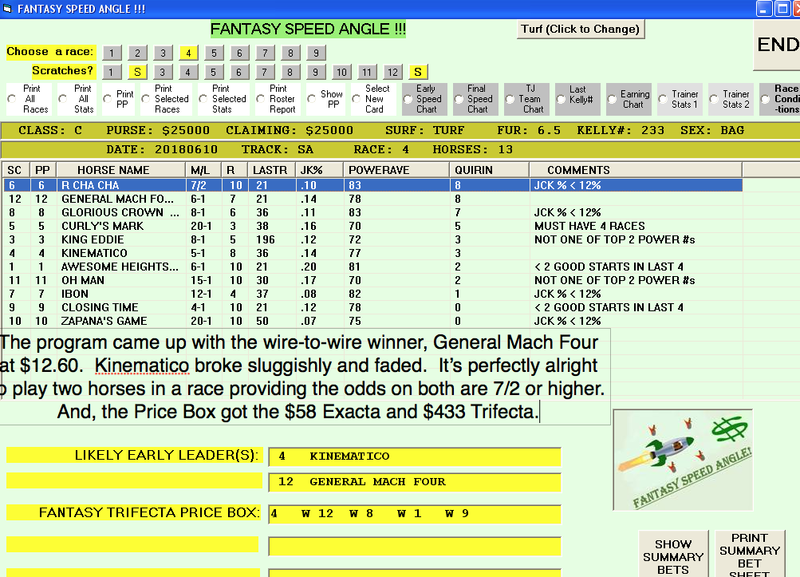 Fantasy Trifecta Price Box = an accurate evaluation of the likely Exotic contenders – can be used for Exactas, Trifectas and Superfectas. FS is a good program for dutching when the program chooses two horses — odds on each horse should be 7/2 or higher. 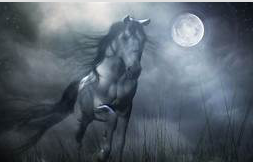 If you want to settle on a single horse, using the highest Quirin speed point horse is a good way to go. 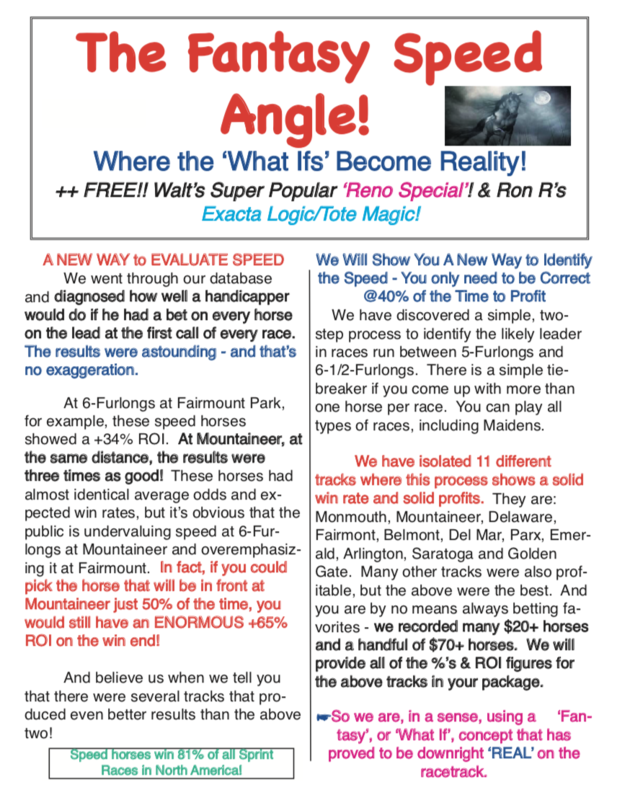 The Fantasy Speed Angle + Exacta Logic/Tote Magic + The Reno Special!! That’s THREE Great Methods for the Price of One! Call us at 1-800-696-0067 or order from our website!